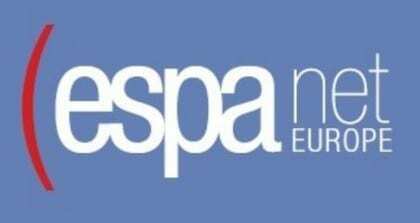 A panel on “The Basic Income imperative: rethinking equality, inclusion and social innovation across Europe” will be held at the 2016 conference of the European Network for Social Policy Analysis (ESPAnet), September 1-3, Rotterdam, Netherlands. The panel is convened by Bettina Leibetseder (Johannes Kepler University, Austria) and Jurgen De Wispelaere (University of Tampere, Finland). The call for papers is open to scholars in all disciplines and from a range of professional and personal backgrounds. You can submit a paper until March 18, 2016. Click here for more information about the conference, you can submit your paper here. The idea of granting each (adult) citizen an unconditional basic income, independent of means test or work requirement, has made major strides in recent policy debates across Europe. Driven by popular initiatives such as the successful 2013 Citizens’ Initiative in Switzerland, the prominence in party-political manifestos such as Spain’s Podemos, and even government commitments such as the forthcoming 2017 basic income pilot study in Finland, basic income cannot be readily dismissed as an alternative to the policy orthodoxy of the active welfare state. It may even introduce social innovation. Nevertheless the “basic income imperative” faces considerable challenges, and the aim of this stream is to map out these through a number of country-studies within Europe and beyond. This stream aims to advance the policy debate around basic income in several ways. First, country-level contributions may shed light on how ostensibly similar challenges harbor major differences at the level of policy design and anticipated policy effects, with particular focus on the potential contribution of basic income schemes to sustainability, equality, inclusion and social innovation. Second, country-specific analysis offers insight into distinctive structural/institutional constraints mediating policy development. Third, contributions will identify ways in which the particular constellation of policy actors, interests and opportunities shapes the political strategies to move basic income onto the policy agenda. Fourth, building on the policy feedback perspective, this stream aims to investigate to what extent competing basic income models differentiated in terms of policy goals as well as policy design negotiate common obstacles across European welfare states. We invite contributions that examine one or more of the issues listed above within a specific country. The aim of this stream is to allow contributors to offer in-depth country analysis, which serves as precondition for future comparative research of the prospects and challenges of the basic income imperative across Europe. Although the main focus will be on European welfare states, we would consider contributions that illuminate the debate through a non-European perspective or advance a comparative or European analysis.